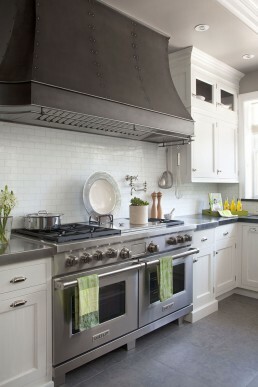 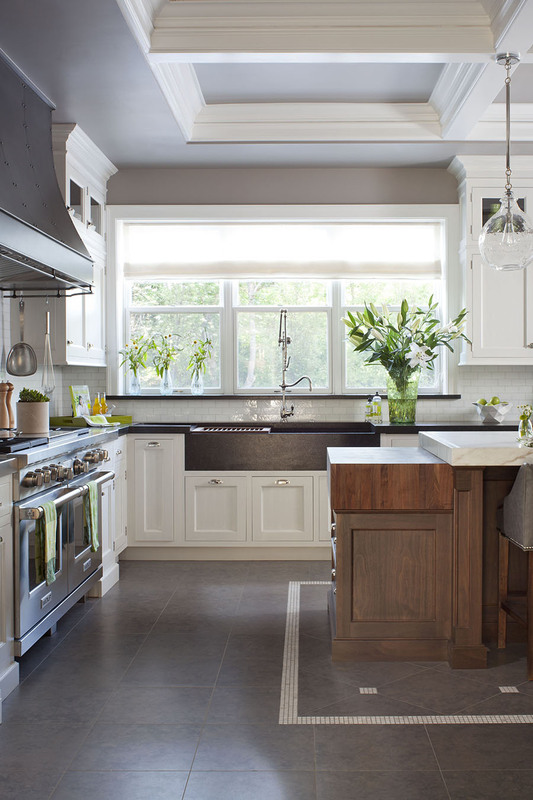 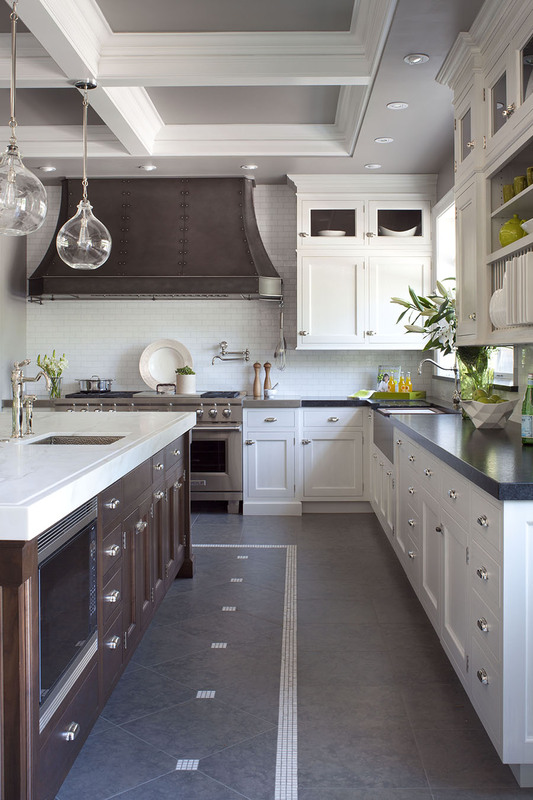 Beautiful Classic white kitchen for a 1920s Denver home…all in support of the Denver Children’s Hospital. 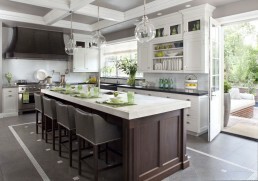 White inset cabinetry with walnut island. 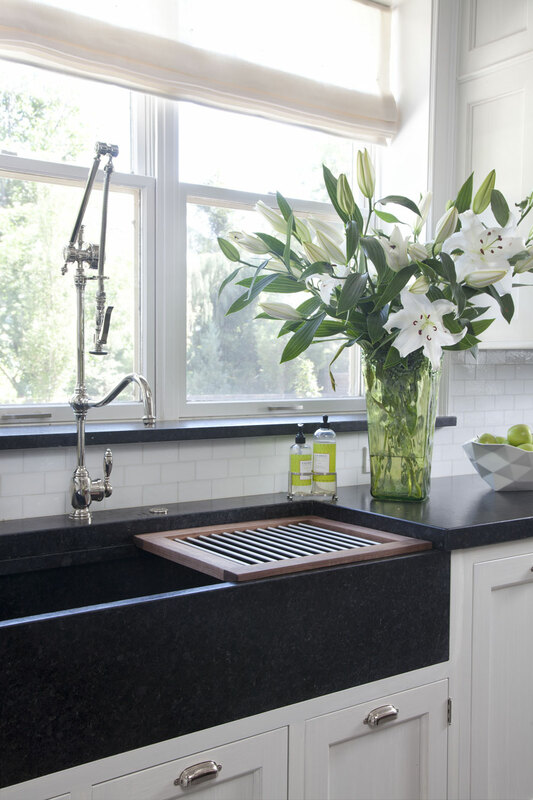 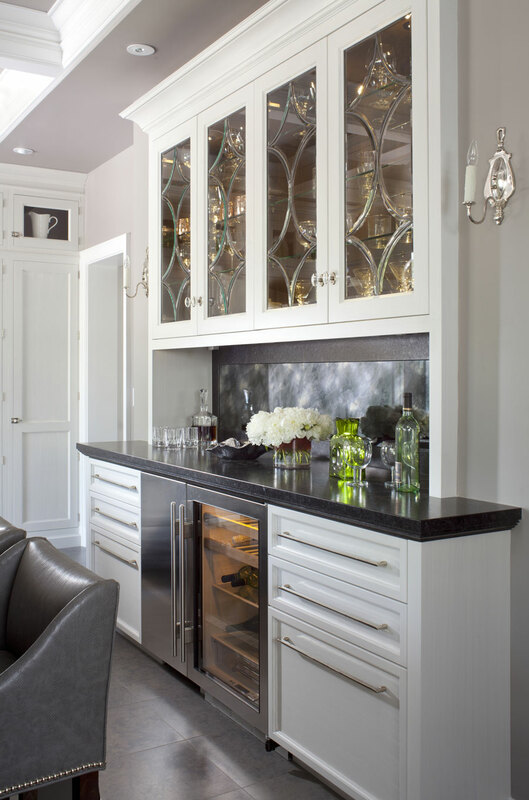 Calcutta honed marble was used at the island with antique black leathered stone at perimeter.